Daryl Johnson (Worcester Park, United Kingdom) on 17 March 2010 in Architecture and Portfolio. Another example of the steep, thatched gasshō-zukuri roofing typical of traditional houses in this region, which I've shown in recent postings taken in the village of Shirakawa-go. 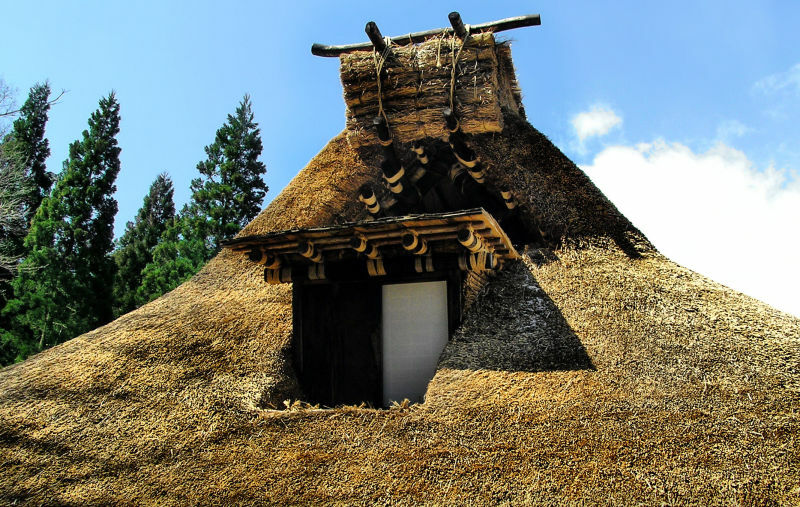 This roof is on a house at the Hida Folk Village open-air museum in Takayama. @Michael: Very eco-friendly - except for all the smoke inside, I suppose! Cheers Michael. Beautiful capture. Light and textures are superb! Of course it looks beautiful as a piece in a museum! If one takes into consideration all the skill and work applied to this construction, done totally BY HAND.....one gets baffled! A very fine detail shot. These roofs are fascinating. @Steve Rice: Quite beautiful aren't they Steve? Very unexpected & interesting ! So, how much rain does the grass absorb? Does absorption create a weight problem? @Twelvebit: I have no idea about the mechanics of these things!